Nestled in the heart of western Europe, Luxembourg is a small country landlocked by Germany, France and Belgium. With a population of around 570,000 citizens, Luxembourg is made up of ancient fortresses, cobble-stone villages and a vibrant character. Popular tourist attractions include the Grand Ducal Place (Luxembourg City), Moselle Valley and the Ardennes landscapes. 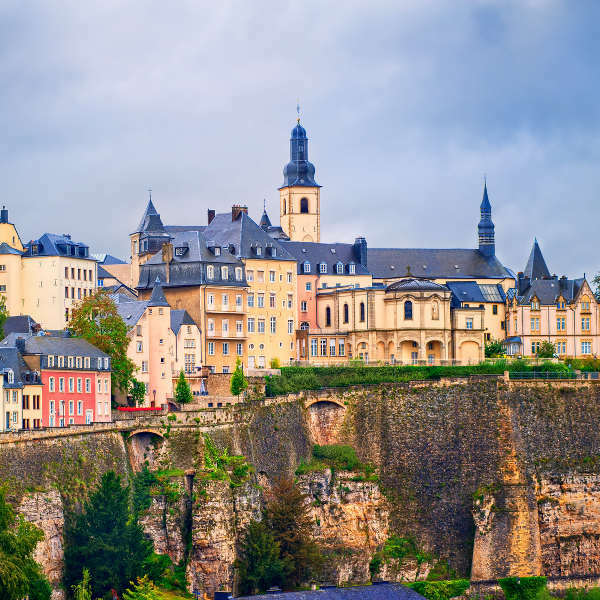 Cheap flights to Luxembourg are now available for a limited time only, so book your flight today and prepare to be amazed at the historical landmarks and sheer beauty of this country! Luxembourg’s hub airport is Luxembourg Findel International Airport (LUX), a 20-minute commute from the centre of Luxembourg City. The rolling hills, mountains, valleys and crystal rivers of Luxembourg’s landscapes are scintillating and will leave you feeling inspired. Explore the hiking trails along the Ardennes and take in the lush views of the Moselle Valley. 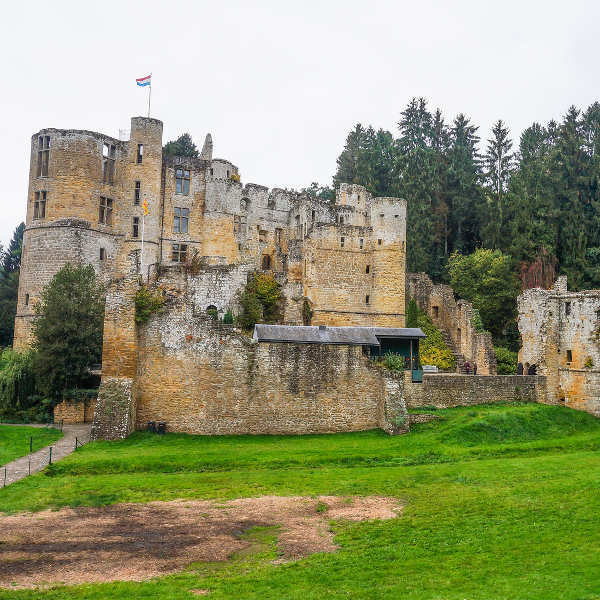 Luxembourg’s medieval fortresses, fairy-tale castles and houses are reflective of its German, Dutch, French and Italian heritage. Stroll through underground passageways and old castle walls telling tales of triumphs and battles. Cycle through the cobble-stone streets of the charming towns and villages nestled between beautiful scenery. Chat with the locals and enjoy traditional delicacies at carved-out eateries to appreciate the heritage and culture of the town folk. Luxembourg experiences a fairly moderate climate with hot summers and frosty winters. Tourist season peaks between May and September and hotel rates are often higher during the week than on weekends due to frequent business travellers. To skip the crowds and high rates, October (autumn) is the best month to visit when cooler, sunny weather allows for wonderful hiking and outdoor adventures. If you love winter sports or simply want to experience a white Christmas, go between December and February when the snow-capped peaks of the Ardennes and hilly landscapes are breathtaking and perfect for some skiing adventures. Luxembourg loves its festivals, so be sure to catch the music events and open-air concerts throughout spring and summer, while the streets of Luxembourg City come alive with concerts, markets and celebrations during the Winterlights Festival. Luxembourg is a country that oozes charm and character tucked away in the most unexpected places. Luxembourg City is the lively capital, made up of the UNESCO-acclaimed Old Quarter with its cobbled streets and old, historical buildings. Old fortresses have made way for beautiful gardens and parks and there is plenty to see and do. Art and history lovers should visit the National Museum of History and Art, housing impressive collections. Explore the 21-kilometre network of underground passageways carved out of rock in the City Casements. The Bock plateau houses old castle ruins overlooking remnants dating back to 1390. Another must-see are the Walls of the Corniche, resembling balconies towering over the old city. 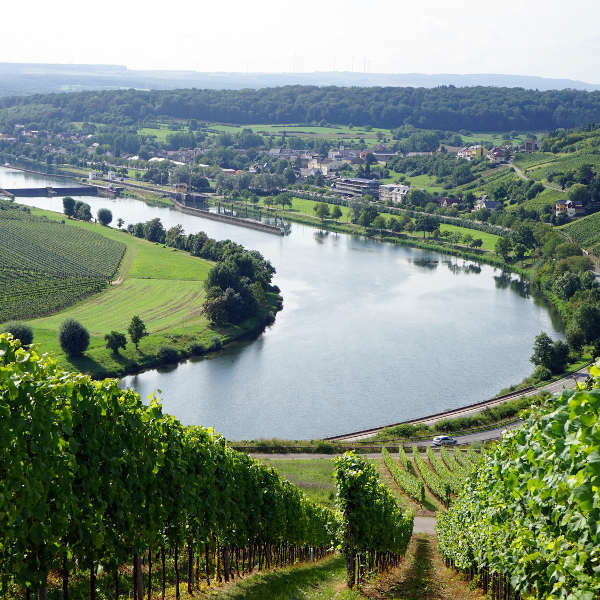 The Moselle Valley is a picturesque landscape of wine villages and sloping vineyards in the eastern part of the country. Famous for its thermal springs, spa resorts and wine, the Roman fortresses and Art Nouveau houses add to the region’s quaint, homely feel. The villages and countryside of Luxembourg are accentuated by their majestic castles. Walferdange Castle is the former Grand Ducal residence, just outside the capital city, and houses fascinating archaeological sites. The village of Mullerthal, known as “Little Switzerland” is home to numerous neo-Gothic churches and 12th-century castles. Vianden is a little gem tucked away in the Ardennes region and is famous for its Gothic-style manor perched above the town. Bordered by the Sûre and Wark rivers, the romantic lit-up ruins of Bourscheid Castle are quite the spectacle at night. Discover Luxembourg’s wild side with a trip to the eco-friendly Upper Sûre Natural Park, with spectacular wildlife, waterfalls and water sports to enjoy. The sheer cliffs, hidden valleys and panoramic scenery of the Ardennes are breathtaking and is where Hitler staged his last WW2 campaign. Nestled among the mountains, the little town of Wiltz is renowned for its open-air theatre and music festivals. Compare several airlines, and book your cheap flights to Luxembourg today! Luxembourg is an extremely safe country and tourists should feel perfectly safe to walk around and explore the cities’ attractions by day and night. Busy areas and terminals do attract petty crime like bag-snatching. If travelling alone, avoid dark and secluded areas at night, particularly Rue de Strasbourg in Luxembourg City. Luxembourg’s healthcare is first class, although it may work out expensive. A comprehensive travel-insurance policy to cover theft and medical expenses is strongly recommended.